We are a leading name in the domain of manufacturing, supplying, exporting and wholesaling a broad array of Laboratory Ware. 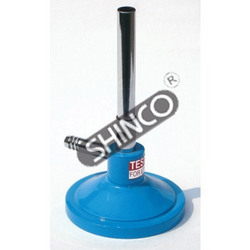 The offered range comprises Test Tube Holder, Lab Jack, Tripod Bases, Bunsen Burner Propane Gas and Buret Stand Wooden. 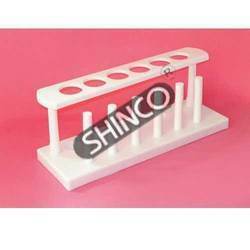 Our offered laboratory ware are able to serve patrons for long as these are manufactured by making use of the high quality raw material in adherence with the established quality standards. Post production, we check these laboratory ware so as to ensure their flawlessness. 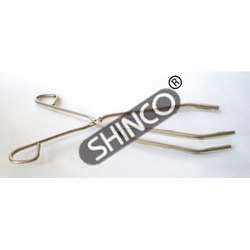 With the help of our sophisticated in-house facilities, we have been able to offer an array of Tongs Crucible. Our products are used for handling or manipulating hot crucibles and similar apparatus. Corrugated tips for easy handling. 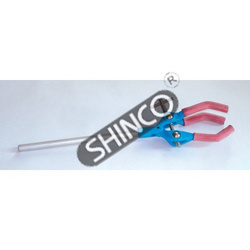 The offered range of tongs crucible are large enough for grip and comes in the overall length of about 200 mm. 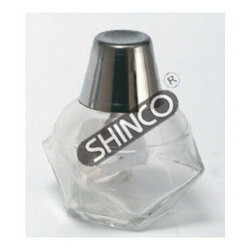 For holding flasks from 100mL up to 2000mL capacity. The jaws are covered with replaceable PVC sleeves. 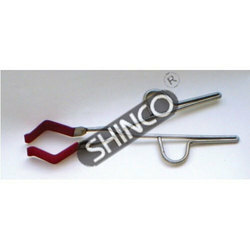 Overall length 250mm. Made of plated steel. 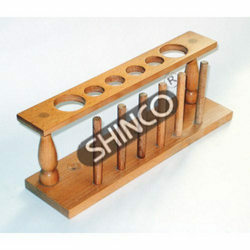 Similar to the above test tube holder 2030-01 but without finger grips. 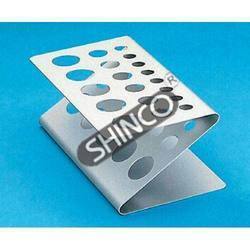 For tubes from 10mm to 19mm diameter. With a steel spring. Jaws open by thumb pressure. Smooth finish. Length about 180mm. 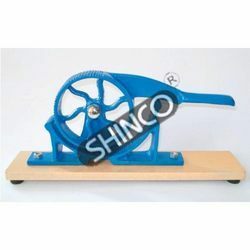 For handling test tubes from 12 to 40mm outer diameter. Made from rolled brass strip with a spring clip. Mounted in a polished wooden handle. Overall length about 220mm. Made of kiln dried wood. 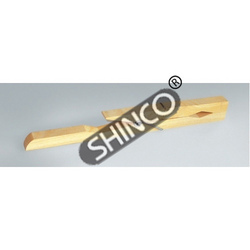 Has six openings of 24mm diameter and six drying pins. Measures (i x w x h), 240 x 70 x 90mm. Oil finished. Similar to 2051 above but made of high grade stainless steel to prevent corrosion. 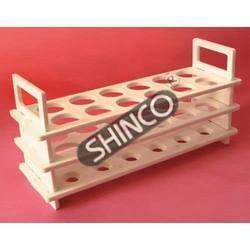 Size of base 200 x 125mm. Rod size 600 x 12.5mm. For proving the ‘supporter of combustion’ role of gases like oxygen and chlorine by helping burning of appropriate substances as sulphur, phosphorous etc. Consists of a cup of diameter 18mm welded to a wire handle about 380mm long. A disc of 75mm diameter is provided for safety. It has a cork in the centre to hold the handle at the desired length. Made of plated steel. 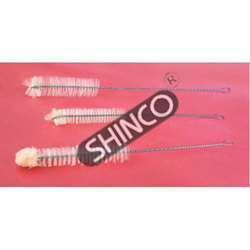 Brush size (d x l) Overall Length (mm) Cat. No. Overall length Flat end (I x w) Cat. No. Made of stainless steel. Overall length is about 176mm and about 18mm wide. 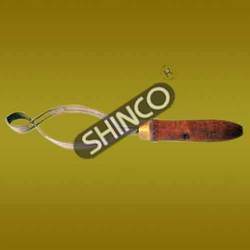 For sharpening hollow cork borers from 5 to 22mm in diameter. 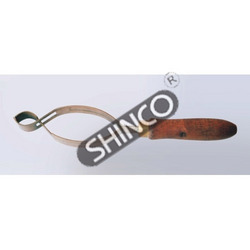 Consists of a brass cone to the borer, with a hinged steel blade ground to sharpen the cutting end of the borer. Mounted in a wooden handle. Capacity Top Dia Cat No. 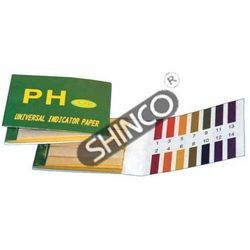 High quality neutral fi lter paper, suitable for normal filteration. Contains very low ash content. Available in packs of 100. 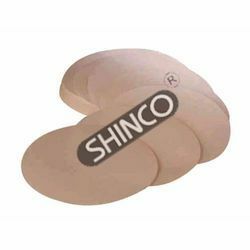 For tapering, softening for boring and reducing corks up to 30mm diameter for exact . Made of cast iron. Rotary form. Mounted on wooden base. Made of soda glass and with ground top flange. Without Cover. Pack of 100 test trips with color code key to match Ph from 1-14. 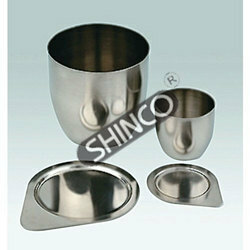 Backed by rich industry experience, we are engaged in offering an excellent range of Tongs, Beaker. Designed to hold liquid beakers from 50 mL to 600 mL capacity, these products are made of plated steel rod with plastic tubing covered jaws. 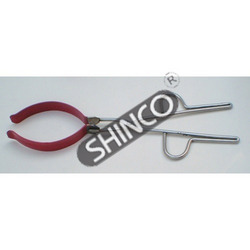 Our tongs, beaker are large enough for thumb and two fingers, which is about 280 mm long. A team of quality experts stringently examine this range to ensure its flawlessness. We hold the expertise to offer a range of Wooden Buret Stand. 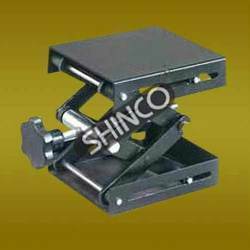 The offered range is precisely developed by making use of hard wood base clamp and holder with screw, which is nicely polished. Our professionals manufacture these products at our state-of-the-art infrastructure premises with employing latest & sophisticated tools & equipment. 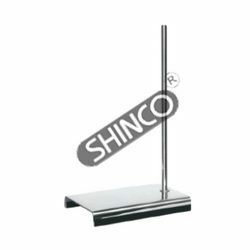 With an aim to stand tall on the expectations of customers, we are engaged in offering a broad range of Tripod Bases With Rods. 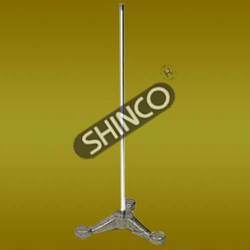 To ensure the peerless features of provided bases, we manufacture these by making use of the high grade material, sourced from the most prestigious vendors of the industry. 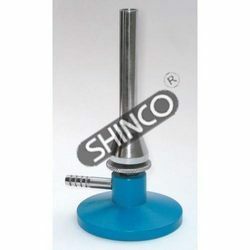 With a purpose to provide stable support for laboratory equipment, we are engaged in offering best grade Lab Jack. 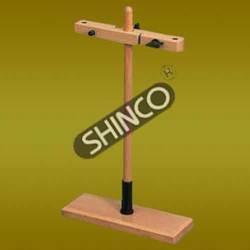 Made at our sound manufacturing unit by utilizing high grade raw material, offered lab jacks are in-sync with the globally laid quality standards of the industry. After the completion of the production process, we make these lab jacks pass a quality check so as to ensure their flawlessness. 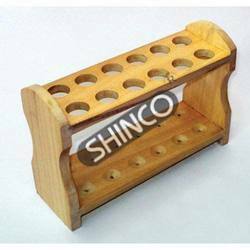 Backed by sound infrastructure and experienced team, we are able to manufacture, supply, export and wholesale Test Tube Holder Cross Pattern. Offered tube holders are provided to patrons as per their given details so as to ensure their higher level of contentment. 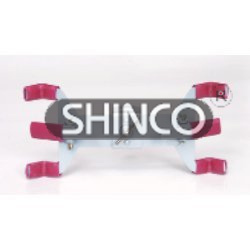 In addition to this, we carry out the manufacturing process of these tube holders with the aid of modern machinery while following established quality standards. For holding beakers from 100mL upto 1500mL capacity. The jaws are covered with replaceable PVC tubing. 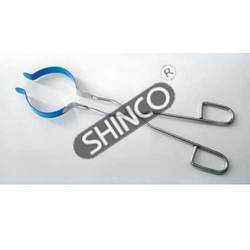 Overall length 360mm. Made of plated steel. 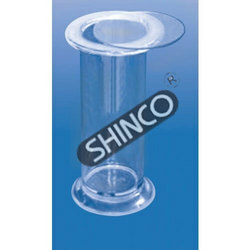 For holding beakers from 50mL upto 2000mL capacity. The jaws are covered with replaceable PVC sleeves. 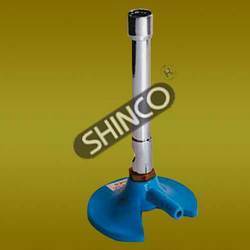 Overall length 250mm. Made of plated steel. The lower plate has rounded wells with drain holes. Convenient hand grips on both sides. No. of holes Dia of tube Cat. No. 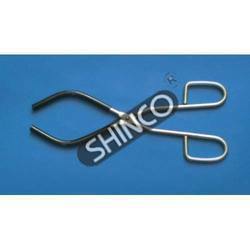 For ensuring a grip on small round or irregularly shaped objects. Three pronged aluminium die-cast clamp with brass thumbscrew. Jaws are covered with replaceable rubber tube, which open from 3-90mm. 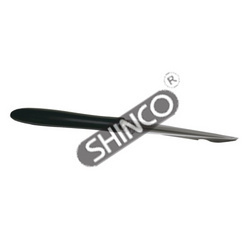 Overall length approximately 250mm. 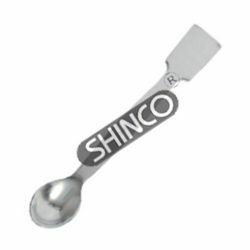 Made of stainless rod which is pressed into thin double blades at both ends. One end is a strip (I x w), 60 x 8mm and the other has a rounded angle end about (I x w), 60 x 8mm. Overall length about 20cm. Made of heavy wall plate glass, with fi red edges. Light weight aluminium cast body with spring loaded clips for securely holding burets. Has a 20mm hole at the back to connect up to 18mm ringstand rod.